Have you ever wanted to try out an agency to see if they could do what they say they could? Have you ever been taken advantage of by an agency that promised more leads and sales only to have neither to show for it? Here at Go Local SEO we Only Charge for Results. We have a proven track record and time tested system used on hundreds of site. 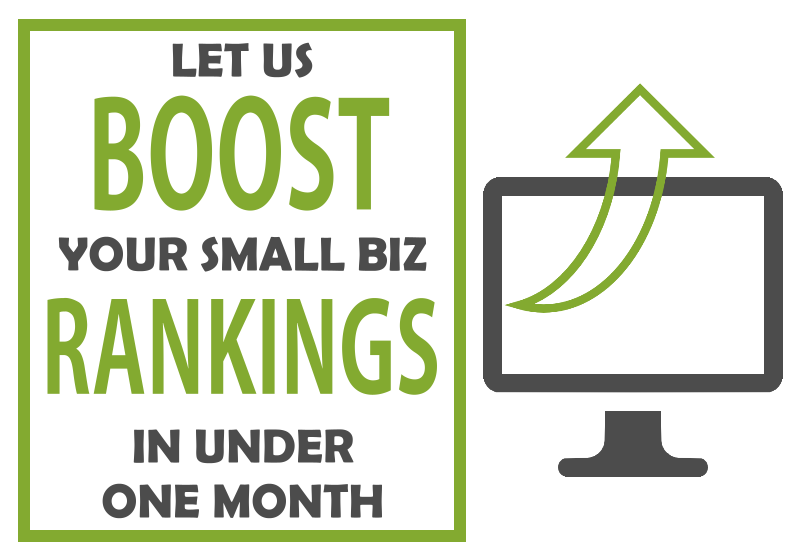 “We Guarantee To Improve Your Rankings in the next 30 days” or we will give you Double Your Money Back! Is Go Local SEO Right For Your Business? If you’re looking to get more leads, customers, and sales for your business – then Go Local SEO is the right choice for your Las Vegas SEO needs. Based in Las Vegas, Go Local SEO specializes in search engine optimization (SEO), lead generation, and complete marketing strategies – everything to help you build your brand and grow your business. Have a question? Call us today at (702) 830-7404 for a free, impartial and confidential consultation. You’ll be glad you did! Whether you’re a home service based company, professional/entrepreneur, or small business, we offer customized solutions that work within any budget. Whether it’s local SEO, targeted Pay per Click advertising, or complete inbound marketing solutions, we have you covered. What separates us from our competition? In a word – Results! We have a history of competing in some of the toughest niches online. Our rankings and client results speak for themselves. It’s important to understand that Las Vegas SEO is an investment and not a short term expense. In other words, it’s a war not a battle. Our clients benefit from years of practical and professional business experiences and over 30 years of combined SEO, PPC, Web Design, Conversion Optimization and digital marketing experience from our Las Vegas based team. Founded by a team of small business owners and highly experienced digital marketers, Go Local SEO is able to bring results-based marketing to businesses everywhere. Our core focus is your bottom line. Contact us today to see how our SEO services can be tailored to your specific needs. We focus on the most-important digital marketing tasks and strategies. Ensure that your business is easily found by potential customers with Local SEO. It’s really that simple. All of our website designs are coded with the latest in technology ensuring that your audience will have the best user experience whether they are using a desktop, a tablet, or a mobile device. PPC Advertising provides a combination of both targeting methods that will help you reach the most potential customers and provide the best ROI – after all, doesn’t that make sense. Everyone has an opinion on what “might” work with online marketing but you really won’t know until you try it. We take a scientific approach to our campaigns with detailed tracking, split-testing, and constant action. Go Local SEO prides itself on communication. We provide each of our client’s with 100% full visibility into all planned and completed tasks, performance reports, and real-time analytics. We Will Get You More Leads & Sales From Your Online Efforts… Guaranteed! Are you looking for Las Vegas SEO Services that actually work? Are you tired of being ripped off by your marketing company? We constantly hear stories of small business owners, like yourself, who have been taken advantage of by their marketing or advertising agency. They’ve spent $1,000’s of dollars a month to a local Las Vegas SEO agency and have never seen results… Their website doesn’t rank near the top of Google and the worst part about all of it…. Their website doesn’t even convert any visitors into real customers. Fail! What we’ve found is that a lot of business owners that were paying for online marketing services actually had no idea of what they are really buying. The search engine optimization company that they worked with simply stated “search engine optimization services” on their monthly invoice and did nothing to get them more clients. The real problem, Las Vegas SEO companies typically focus on the wrong thing… Getting more clients for themselves (while providing an inadequate service to their clients). To make matters worse, they spend a large portion of their time subcontracting your businesses’ work to other firms. How many times have you heard, “Google’s algorithms changes so often, it’s difficult to get your site ranked better” when you’ve pressed for information about your account? We get it – You want more more leads and more sales for your business! We know what it is like to be on the other end of a marketing company’s bite. We’ve been there and have heard those same shallow promises time and time again. We did something about it – we became SEO experts and Inbound Marketing ninjas (and in the process ran some very profitable companies too)! So why are we doing this? There’s a bunch of different reasons, but the main ones are: 1) We really like marketing. 2) We don’t want to see other business owners in Southern Nevada experience the same hardship from SEO firms that taking hard-earned cash and deliver poor results – we have a better way! But why take our word for it…. Wouldn’t it better if we could prove it to you before you hired us? Have you ever wanted to try out an agency if see if they could back up their promises? Here at Go Local SEO, we only charge for results. Click the button below and give us a try – we guarantee to improve your search rankings in the 30 days or double your money back. We Focus on Leads & Sales for your Business – Guaranteed! Local SEO Services That Actually Work! 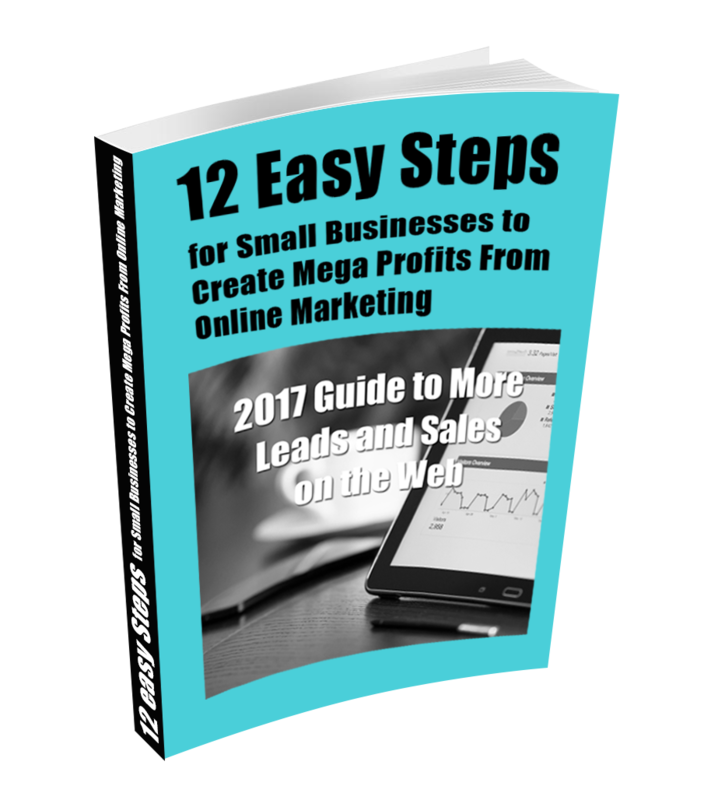 Are you looking for more leads and ultimately more sales for your business but confused on where to start? The days of advertising on billboards, buying corner ads in the Yellow Pages, and relying on “word-of-mouth” marketing won’t pay your bills. It takes an online marketing strategy to succeed in today’s digital world. Consumer expectations have changed with the rapid use of the Internet. When most people hear about a new business, product or service – they turn to the Internet and search for the company’s website. If you don’t have one, your business has lost trust and you maybe be discarded completely. There is a “bare minimum” that consumers expect to see online and a website is #1. Just because you think you think you don’t need online marketing, that it’s a fad, or that your customers are offline doesn’t mean your competitors think the same way… Right now, they could be poaching your potential customers and offering a better first impression for anyone in your area looking for a business similar to yours. I’m sure the last ‘buggy whip’ retailer had similar thoughts about embracing change and every day you continue to follow outdated marketing methods is another day your farther behind. The changes in available technology have made huge changes in the way people shop. High speed Internet and the explosion of smartphones and other mobile devices make consumers less dependent on physical locations every day. As a result, online marketing becomes more and more important to reach your audience. Go Local SEO will walk you through the complexities of online marketing! We work with local businesses like yours and get them the exposure they need to reach today’s consumers. We do this researching the keywords or phrases that your specific audience uses and then optimizing your online properties so that they can find you easier. Go Local SEO is a marketing agency for small businesses. Although we are located in Las Vegas, we offer SEO services to customers throughout the country. Done correctly, search engine optimization can provide a unique opportunity for growth for small business owners – it can also be a death sentence to a business that has done it the wrong way. Go Local SEO only uses best practices SEO as defined by Google and the other search engines to ensure your online presence will not be affected by future algorithm changes. Consumers have embraced the Internet much faster than expected and it is estimated that the Internet influences $0.64 cents of every dollar spent in retail sales. Nearly 8 in 10 consumers research brands and products online before going to the store. This means you need to interact with your potential customer much earlier in the shopping process. Food and beverage sellers can expect digital marketing to influence 31% of their business while consumer electronic resellers can expect up to 62% influence. Digital marketing isn’t just for large corporations – the local mom-and-pop corner store can also benefit from local search engine optimization strategies. Since Google’s fan-named “Pigeon” update in 2014, the importance of local SEO marketing has become even more important and those businesses that have a digital marketing plan have benefitted from an increase in online exposure. This wasn’t a one-time event… Google loves local businesses! Over the years, Google has continually tried to help local searchers find relevant results. From finding a local plumber to indexing the latest bistro, Google continues to adjust its’ search parameters to help local business listings gain rankings. In order to assist local businesses rank in the search results, Google has also offered access to online tools like Google Search Console (formerly Google Webmaster Tools), Google Analytics, and AdWords (and easy to navigate pay-per-click advertising platform). These tools are offered business owners for the sole purpose of helping them increase their online visibility within Google. Bing and Yahoo also offer similar tools to help business owners rank in the search results. As Google grows more sophisticated, the importance of local marketing campaign will only grow. In order for your business to benefit from these advances, you need to begin a digital marketing strategy that includes an easy to navigate, mobile ready website that has been search engine optimized, and detailed social media strategy, and the means to track, adjust, and improve the marketing over time. Local SEO is a highly effective form of local online marketing that targets an audience in the local proximity to a product or service. All local businesses, from plumbers & builders to florists & accountants can grow their business through local SEO (search engine optimization) and local PPC (pay-per-click advertising). By promoting your business online, you’re able to target local customers at exactly the time they’re looking for your type of business or service. Go Local SEO will help you use search engines like Google and Bing, business directories like Yelp, Angle’s List, Merchant Circle and CitySearch, and social media sites like Facebook, Twitter, Pinterest and YouTube. Millions of local customers already use these services every day to find the best local businesses. Local SEO removes the guesswork typical in marketing strategies like dropping leaflets through a letterbox or putting an ad in the local paper (which may or may not be seen by someone interested in your service). Local SEO targets local customers WHEN they’re looking and WHERE they’re looking to buy your products or services. Don’t be confused, these potential customers aren’t just online either – they’re ‘real customers’ that will walk into your store or office. Go Local SEO marketing includes more that promote your website, we also promote your business (your name, your services, address, phone number…) wherever we think you’ll benefit most so your new customers will call you or walk through your front door not simply visit your website. All local businesses, from plumbers & builders to florists & accountants can improve their business and make more money through local SEO (search engine optimization). Go Local SEO offers local SEO consultancy and local SEO tools to help local businesses. Contact Go Local SEO today! Find out how you can use the power of the Internet and help potential customers find your business. Targeted marketing strategies allow you to reach your customer when they need you the most. 1. 64% of local customers use online search engines and directories as their main way to find local business; only 28% of people use old paper directories as their preferred source of local information. 2. The number of online searches for local businesses grew by 58% between 2008 and 2009. This was more than double the growth in general search volumes meaning that more people are looking for local information and businesses via search engines like Google. 3. Using local search engines & online directories promotes your business to local customers at exactly the point that they’re looking for your business. There’s no better time to connect with a potential customer then when they really need you. 4. Local directory marketing has up to 50% conversion rates – much higher than traditional advertising options. That means that you’ll convert 1 in 2 leads into an actual customer. 5. More and more local customers use mobile phones and mobile ‘apps’ to find best local business while they’re walking around. Local SEO covers both PC & mobile internet access meaning you never miss out on a potential customer. 6. Unlike local newspapers, flyers and other traditional advertising, Local SEO is targeted to your specific audience meaning you’ll reach potential customers when they need you – not when they don’t. This makes local SEO both efficient and cost-effective! 7. Only 10% of businesses have claimed their Google Places local listings – that leaves the door open for you to get a head start before your competitors wise-up and it gets more competitive. Strike while the iron’s hot. 8. Did you know there are hundreds of website that you can list your business for free (for now) like Google maps (called Google Places)? That’s free promotion for your business, but it may not be free forever. 9. With local newspaper readership in a massive decline – why spend your ad dollars there? Recent figures show some local newspapers have lost 80% of their readership in the last 20 years. Why? Because local people are turning to the internet for their local news as well as to find the best local businesses & local deals. 10. An overwhelming 70% of local consumers trust online business reviews! Word of mouth is a major factor in the success of local businesses. Get your trusted customers to review your business online and attract hundreds of new customers. Now is the time for you to take advantage of local search engine optimization and boost your business before your competitors boost theirs. Go Local SEO was founded by a team of small business owners and highly experienced digital marketers that offer results-based marketing. Our core focus is your bottom line. We’ve been building and marketing websites for over a combined 30 years and during that time, we’ve helped 100’s of business owners like you generate leads, attract customers and drive sales. Whether you’re just getting started online or are already generating a large percentage of your business from the Internet, Go Local SEO offers a variety of digital marketing services all tailored to specifically grow your business. If you’re serious about about your business – contact Go Local SEO today for a free, impartial and confidential consultation. You’ll be glad you did! Discover How We Guarantee a Greater Return on Investment. Go Local SEO is a member of the Go Easy Digital Group of service providers. Customer driven results is our main focus. If you're curious how the Internet can help your business grow, call us today at (702) 830-7404 and learn how our local SEO and Digital Marketing efforts will help your small business efficiently grow more leads and sales.